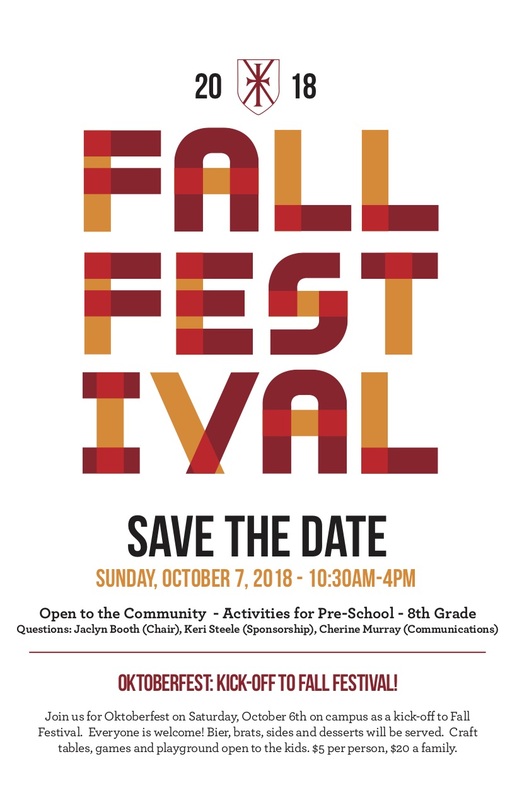 The Saint Andrew Catholic School community is looking forward to their annual Fall Festival; a wonderful, family-fun event builds both financial support and a stronger community, with more than 2,500 people in attendance. There are game booths, food booths, entertainment, lunch served in the gym, 3 on 3 basketball, cake walk, haunted house and much, much more! There are activities for all ages, making this a true family event. The Fall Festival is run by volunteers. Each booth has a parent booth chair that is in charge of all aspects of that booth. Each SAS family (adult volunteers only) is required to work a specified time slot (usually 2 hours) at a booth. Please direct any questions to Jaclyn Booth, Fall Festival Chair at jaclynmbooth@gmail.com.